Chinese New Year is upon us!! February 16, 2018 heralds the Year of the Dog! According to this handy site (where you can easily find out which Chinese sign you are), the next twelve months promise to be a year of action! An exhausting, but very productive year, if you have the energy to keep up! My favorite line: “Planning, postponing, and negligence are words you will need to remove from your vocabulary during this year.” I love that! It’s especially apt for me, as my book, Midnight in the Piazza, will be published this year! That’s got to be an auspicious sign! But be warned, although the Year of the Dog will provide impetus for new challenges and undertakings, it can also bring pressure and stress to everyday life. 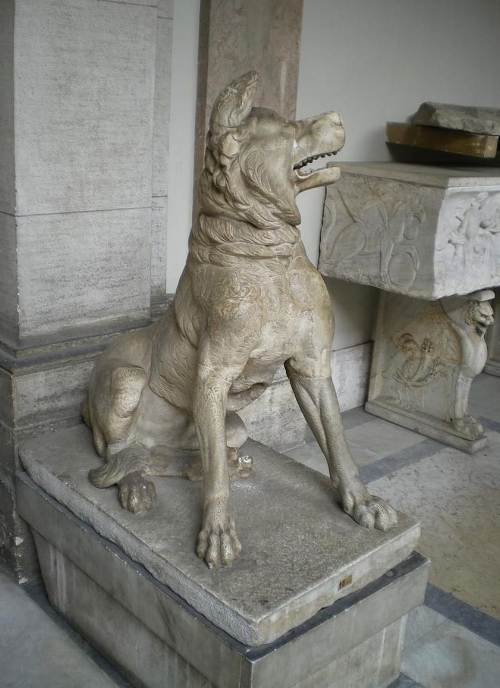 If you are going to be in Rome his Year of the Dog, why not plan your visit based on your own Chinese zodiac sign? I’ve come up with the perfect Roman itinerary for all twelve signs! The Rat is witty, spirited, and imaginative. Clever, materialistic and often wealthy, Rats love to surround themselves with art and beauty. Rat signs should indulge in these visual pleasures by spending a few hours gazing at the gorgeous art of the Borghese Gallery. It’s hard to top the Borghese Gallery for sheer beauty, with works by Caravaggio, Bernini, Raphael, Titian, Domenichino, and many more, not to mention a sizable collection of Roman antiquities. The glorious baroque villa makes a sublime backdrop for the one of the greatest private art collections on the planet. The Ox is the strongest sign: persistent, straightforward, industrious, and patient, with an unrelenting will and staying power. When they travel, members of this sign want to see everything and do everything. So once they’ve crossed the big ticket sites off their list, Ox signs should make time in their itineraries to visit the Capitoline Museums, the Basilica of St. Paul’s Outside the Walls, the Galleria Doria Pamphilj, and Palazzo Barberini, just a few of the important sites that are often missed by less arduous travelers. Tigers are brave, powerful, valiant, and charismatic, but can also be cruel, forceful, and terrifying. Sounds a lot like a gladiator. Tiger signs should spend a day at the Colosseum, getting in touch with their dangerous side. Be sure to book a tour with LivItaly to get access to the hypogeum under the arena, where the gladiators waited to go on, animals pounced up from trap doors, and ancient elevators carried dead bodies to away to be disposed of. Bonus: don’t miss the nearby Ludus Magnus, the barracks where the gladiators lived and trained. Rabbits are gentle, sensitive, compassionate, amiable, and light-hearted, yet they crave speed and distance. They cannot bear monotony and often feel the need to escape reality. After a few days in Rome they will be itching to take off again, so Rabbits would do well to hop Italo’s Leprotto train. Literally the “little hare,” this train is the fastest in Europe, according to the private railway company, and will enable those jittery Rabbit signs to see more of the country. Dragons represent authority, dignity, honor, success, and luck. They have great ambition, ingenuous personalities, and tend to be perfectionists. When they meet with difficulties, they are rarely discouraged. Dragon signs can appreciate these qualities in Michelangelo’s epic masterpiece on the ceiling of the Sistine Chapel. The artist toiled night and day for four years, leaning over backward on the top of scaffolding, all the while suffering abuse from his patron and ridicule from his rivals, to create what would one day be universally known as the greatest artistic achievement of all humanity. Intense and passionate, snakes possess an air of mystery. They are intuitive, shrewd, and philosophical, and often possess great wisdom and a gift for divination. A member of this sign would enjoy delving into the past by exploring the mystical underground mithraeums like the one under San Clemente Church. Mithraism was a mystery cult, with roots in ancient Persia, and was brought to Rome in the 1st century AD, where it was practiced exclusively by men, particularly soldiers. Its tenets and rituals were secret, so the mithraeums themselves are the only source of documentation for those who wish to study this mysterious religion. Energetic, warm-hearted, cheerful, and popular, Horse signs love entertainment, large crowds, and being surrounded by friends. If this is your sign, grab your most fun-loving friends and head to the Testaccio neighborhood for a night of dancing at the hottest clubs in town. Via di Monte Testaccio is a horseshoe shaped street lined with clubs blasting the music of your choice, from house to techno, Latin to hip hop, and everything in between. Gentle, polite, and kind-hearted, Sheep signs are particularly sensitive to art and beauty and often have deep faith in religion and a fondness for quiet living. A visit to the tiny, tranquil, all-white church of San Carlino alle Quattro Fontane, with its sublime dome and quiet cloister, would be especially appreciated by members of this sign. Designed by Francesco Borromini in the 1630s, the entire church is the size of just one of the pillars supporting the dome of St. Peter’s. Yet for all that, there might be more beauty—and sanctity—in this tiny church than in all of that massive basilica. Monkeys are clever, innovative, creative, and intelligent, often to the point of erratic genius. They excel at problem solving and have strong desire for knowledge. Monkey signs should stop by the MAXXI museum, where the exhibit Gravity: Imaging the Universe After Einstein takes a fascinating look at art and science. Another good bet: The Leonardo Da Vinci Experience, a museum recreating the genius’s studio with reproductions of some of his most famous inventions and artwork on display. 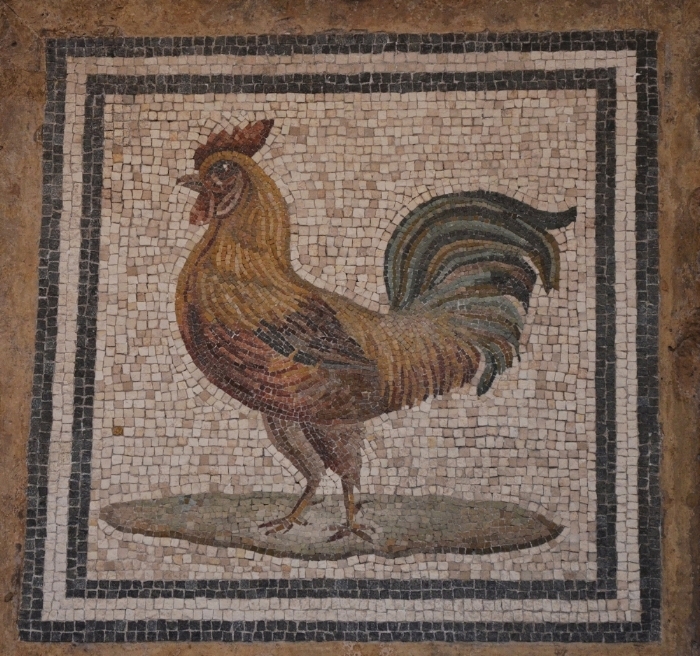 Roosters are the most punctual and precise of all the signs. They are also energetic, capable, and self-sufficient. They love to be up with the sun, so if you are a rooster, lace up your sneakers and go for an early-morning run. The most gorgeous places in Rome to work up a sweat are Villa Pamphilj on the Janiculum Hill, and Villa Borghese, across town on the Pincian Hill. This sign is straightforward, faithful, courageous, and warm-hearted. Dogs are the most generous and giving of all the signs, so they will probably make shopping for friends back home a priority. The highest concentration of big-brand shops can be found on Via del Corso, although Via Cola di Rienzo in Prati has many of the same shops with significantly smaller crowds. Via del Governo Vecchio has some of the best independent boutiques in the city, and Via dell’Orso and Via dei Coronari can’t be beat for antiques. Venture down Via dei Condotti and Via del Babuino if your wallet runs deeper. Members of the pig sign are honest, gallant, tolerant, optimistic, and trusting; it’s no wonder that they make excellent friends. They also have a tendency to be lazy, and they adore rest and relaxation. Considering all these aspects, Pig signs should pick their best friend and indulge in a visit to a luxurious spa for a full day of pampering. AcquaMadre Hammam offers a full Turkish bath experience; KamiSpa specializes in every kind of Far Eastern massage and beauty treatment; and the spa at the Radisson Blu es. Hotel boasts myriad treatments, a Finnish sauna, and a Jacuzzi with a view over the rooftops of Rome. The Pines of Rome Blog Is Reborn!